SPOTeurope board members activities, news and projects. Hi everyone! 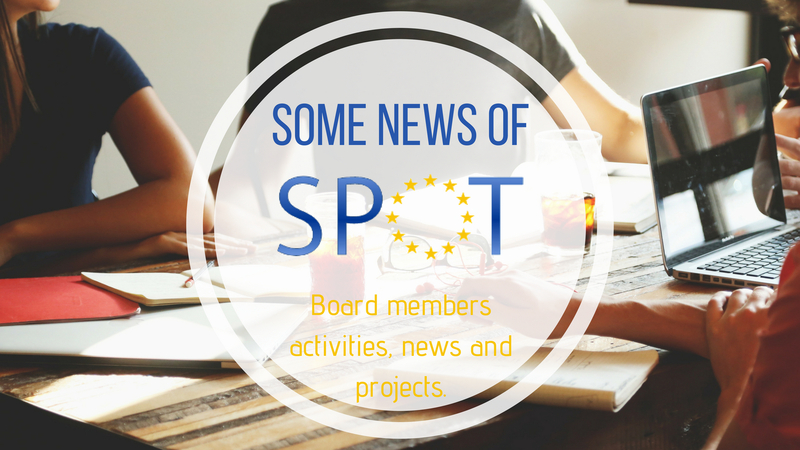 This blog aims to keep you up to date about SPOTeurope board activities. We know that our roles may be sometimes unclear, then here’s what we have done recently and a few words about our plans. If you want to learn more about each member of the board check our About/The Board section. They are currently strongly working with ENOTHE, the European Network of Occupational Therapy in Higher Education. They’re mainly preparing the 24th ENOTHE Annual Meeting, from 4th to 6th October 2018 at the Escola Superior de Saúde do Alcoitão (ESSA), Portugal, where we’re going to have a big presence. In addition, Marlies host the website. She’s also in touch with different OT students and universities from all over Europe, answering and redirecting emails to the others board members. She’s currently working on a map she’d like to post on the website; this map shows OT Schools and Universities across Europe and SPOT representatives. It’s an amazing tool so everyone can see where we have students who you can be in touch with. She hopes the map to be online before the summer holiday. Charlotte is also the one who write reports after meetings. 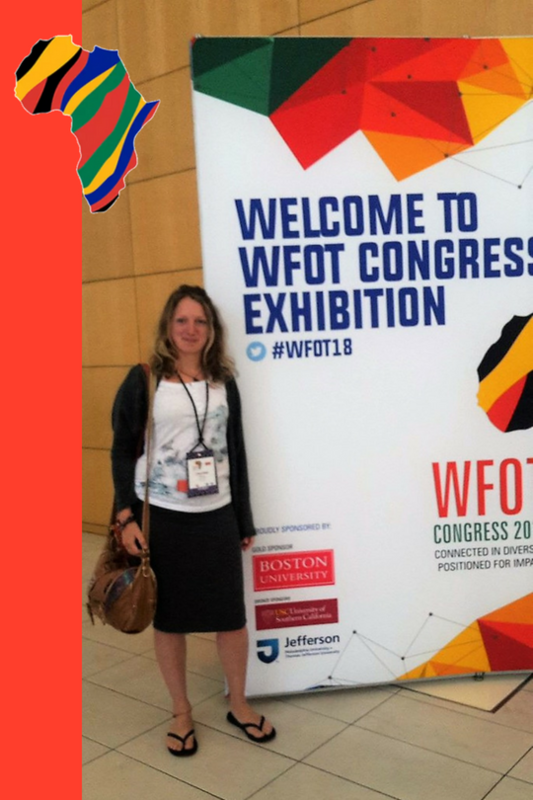 She has been increasing SPOT’s international community, espacially via the WFOT Congress in South Africa she participated in. Thus Charlotte had the opportunity to talk with OT students about their projects, various experiences, life as OT students in Europe, etc. It allows her to encourage them in writing a blog for us. 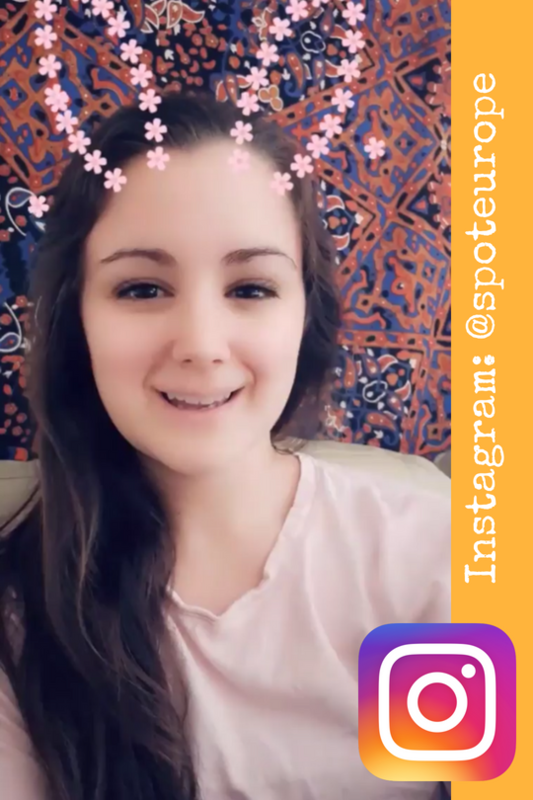 She posts on Facebook, Twitter and Instagram accounts of SPOTeurope. She established themes for some days of the week like the “OT memes Monday” or “Self-care Sunday” or the “Blog Wednesday”. She recently launched our Instagram page! We would like our social medias to be more active. Thus if anyone ever wants something promoted or sees something they’d like posted, feel free to message her on any of the social medias. About Instagram, you can send videos of “OT students’ moments”. 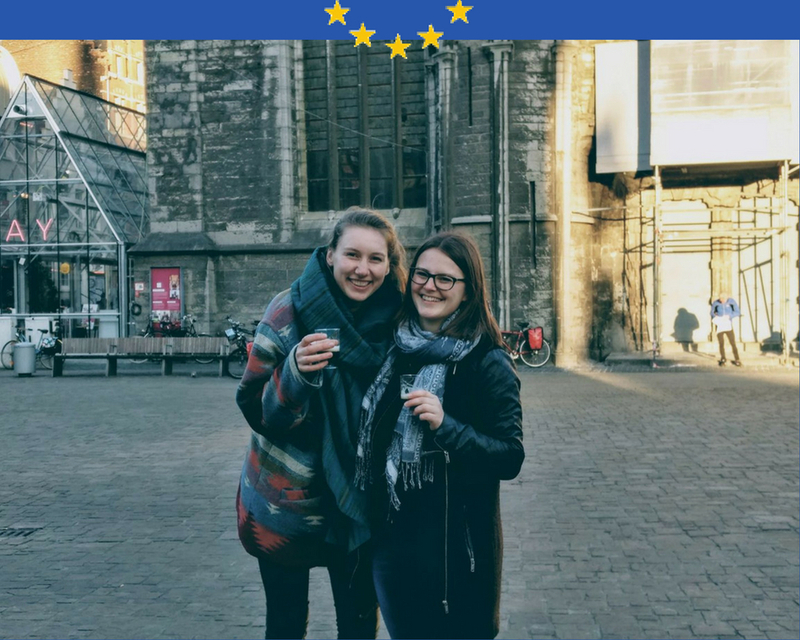 Jena will be able to share it with the European OT students’ community! Valia contacts and keep in touch with European OT universities who are members of ENOTHE. She informs them about our platform and explains them ways of getting involved. Indeed she conducted a brief explanatory email about SPOTeurope and an additional file with more detailed information. 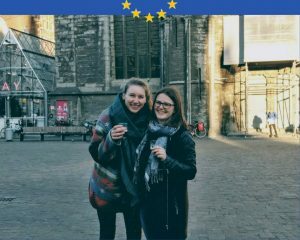 The next plan is to discuss with Marlies which universities have already been informed about SPOTeurope and what our next action will be. Her role is to help you creating and leading mini SPOT in your university. You wonder what a mini SPOT is ? Basically a mini SPOT is a student platform at a university. The platform stands for internationalization at the university. For example at her university in Amsterdam, they organize movie nights with an intercultural theme and they discuss it. Also they create theme days about internationalization. The platform is run by students and for students. Off course a coordinated teacher would be appreciated. Every student can set up a mini SPOT, yet it is important that they are linked to SPOTeurope, that’s why the name mini SPOT. Also the representative of the university should be linked with the SPOT. If you’re interested in creating a mini SPOT in your university, feel free to email Cassandra at minispot@spoteurope.eu. I look for guest bloggers with the help of SPOT representatives and board members, and manage requests of people who want to write a blog for us. Then I help them writing their blog entries when needed. I write some blogs, like this one. Moreover I manage the articles’ layout: create designs, images, etc. I recently added a comments section under the articles for them to foster discussions and interactions, please feel free to ask anything and react about the blog theme! As I’ll graduate soon, we are looking for a new blogger for SPOTeurope from October. If you’re interested in joining the board, feel free to email me at blogger@spoteurope.eu to ask me anything about the role (even if you’re not confident in your English skills!). We are pleased to announce that Alex Lukavsky and Vanessa Röck, Austrian SPOT representatives are now SPOT representatives’ leads. They’ll be happy to offer tips and advice to any representatives. The Newsletter ! Indeed we are going to share the first newsletter quite soon, you can subscribe entering you name and email address on the right sidebar. You want to become a guest blogger/SPOT representative/blogger? Or create a mini SPOT in your university? Feel free to ask emailing the board at info@spoteurope.eu, we would be happy to answer you! 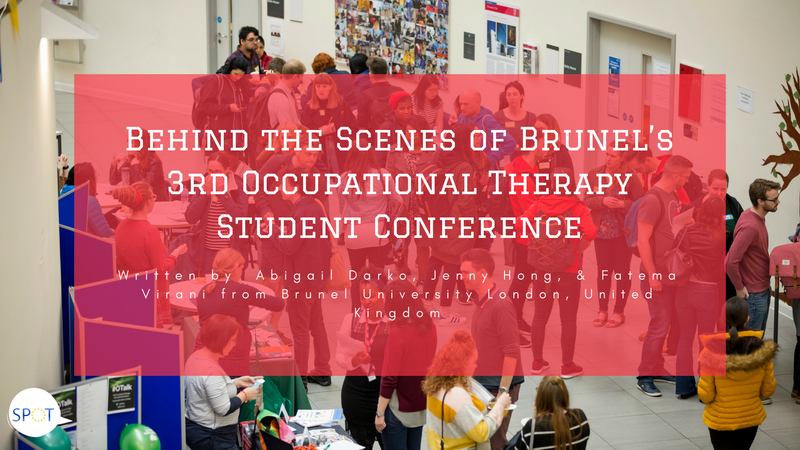 Brunel’s Occupational Therapy Student Conference is an annual student-led event with opportunities for students in training to work together. The conference includes keynote lectures, seminars, and workshops discussing relevant topics and emerging areas that expand beyond academia teachings. This year’s conference took place on 27th of April, 2018. It included speakers who are occupational therapists, other allied health professionals, carers, parents, and service users. Delegates consisted of practitioners and students from Brunel University, students from other UK universities, Spain, The Netherlands and Belgium! After forming a committee of truly passionate and committed students, an initial meeting was set up. The meeting was facilitated by a staff lecturer and allowed the committee to commence the team-bonding process. Key decisions were made, which included selecting the theme for the conference. It was only natural that the theme covered “The transformative power of occupation”. We wanted to learn new and exciting ways to use ‘occupation’ to transform the lives of communities and individuals. The student co-chairs then facilitated meetings and discussion of ideas proposed by committee members for the conference. An action plan was drawn up with tasks to complete before the next meeting, with deadlines set before the next meeting. Prepare to be flexible, communicate, compromise, and be patient. Ensure minutes and action plans for all meetings are recorded and sent out to the committee as soon as possible to get the ball rolling in completing tasks. 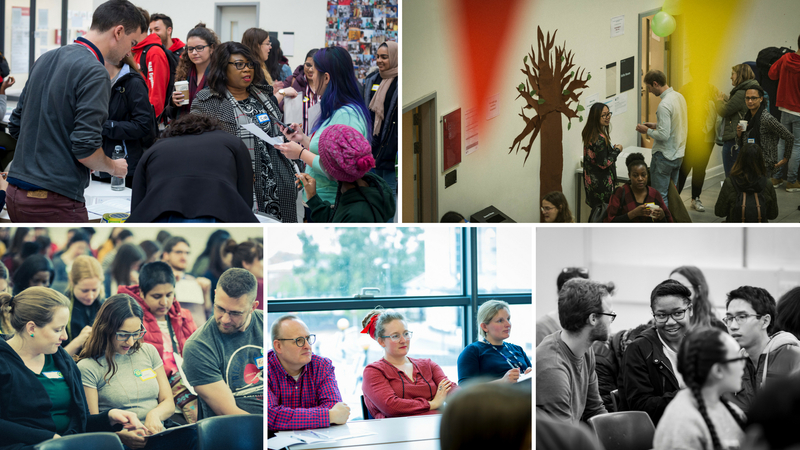 Select keynote speakers, seminar and workshop leaders through university, placement, and conference networks (committee members can provide a range of presenters based on the varying experiences!). Contact and confirm the speakers’ attendance early in advance. Publicise conference on all available platforms internal and external to the University. Agree on a reasonable and realistic budget and stick to it! Once tickets go on sale, have a system in place to track the budget goals weekly. Make sure to share important milestones with the team (i.e. first 100 tickets sold, etc). When it comes to food – ‘it’s better to have too much than not enough’. Start early! The weeks really do fly by—draft a timeline/schedule for important jobs or roles. Set up deadlines and meet them! Communication is vital – set up a discussion forum or utilise social media to stay connected with your organising team. Teamwork – Use the strengths and talents in your team! Logistics – Make sure rooms are booked well in advance to ensure the date of your conference. Food – search for potential providers and estimated costs once the proposed budget is confirmed. Volunteers – search for members willing to support the conference and appreciate them as they are valuable contributors to the conference day. Ensure programme booklets, certificates, timetable, and registration list are in order the day before conference. Duration of conference – make sure the event follows the programme’s timetable to ensure it ends accordingly. Greet attendees and speakers and provide a welcoming and inspirational environment for members to comfortably engage and participate in the day’s activities. Teamwork: By communicating and working smart, the can be more efficient and creative with the project. Community: A sense of community within the committee should be established and developed so everyone is included, supported, and feels a part of the team. Leaders in OT: As the next generation of leaders will be in attendance of the conference, ensure they are well inspired by current OT role models! Jenny Hong: her twitter @OTJennyH and email. 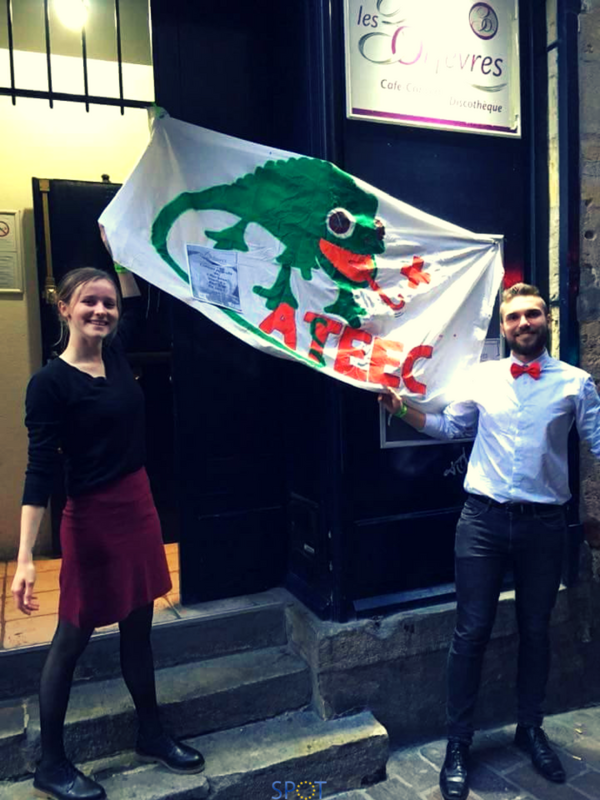 Written by Maurane, with Nolwenn and Sarah, on behalf of ATEEC. 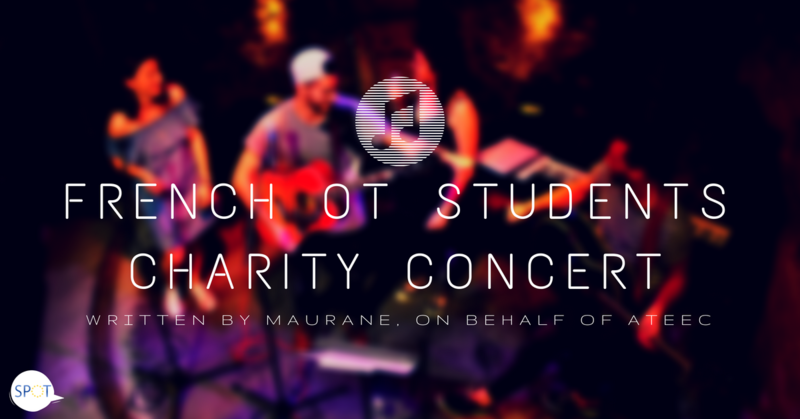 On Friday May, 18th, the OT students association of Tours, France, organized a charity concert in a café concert named Les 3 Orfèvres. 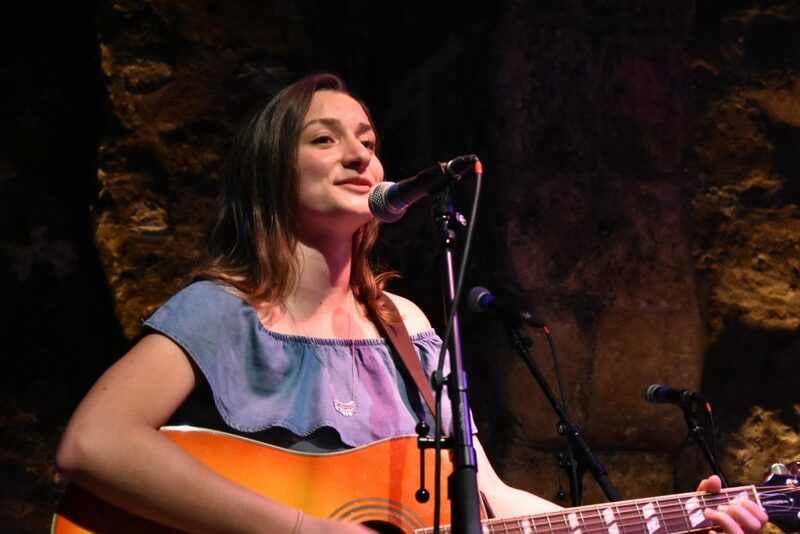 This concert took place as part of the action of Ampli Mutuelle, a health mutual, named Nez pour Sourire, for the organization Le Rire Médecin. Le Rire Medecin is a French organization who trains clowns for them to bring joy and cheerfulness to hospitalized children. 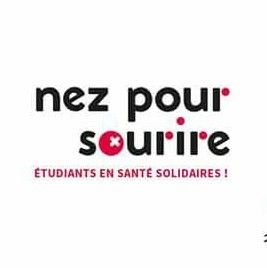 Thus, every year, the Nez Pour Sourire action is launched to raise fund for supporting clowns training. For this purpose, various students organizations all over France sell goodies like Red Noses and other stuffs. This concert were then organized as part of this action by ATEEC, supported by UNAEE. ATEEC is Tours OT students association. The board has 18 OT students, who enliven student life organizing events, managing partnerships, setting up tutoring before exams, implementing prevention actions, participating in sports events, and many other things. 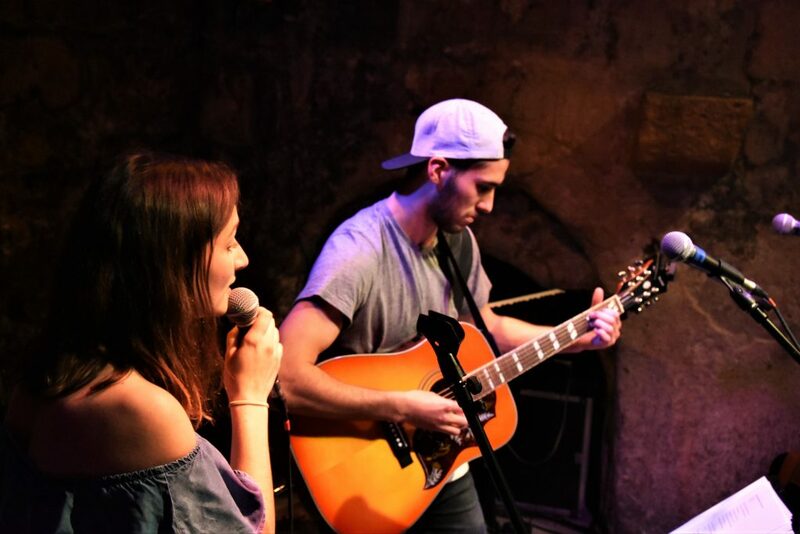 Thus, Nolwenn and Corentin (see the photo opposite!) managed the organization of the concert, Margot and Sarah handled the fundraising for the charity action, and all the board members help them out for everything to be fine. 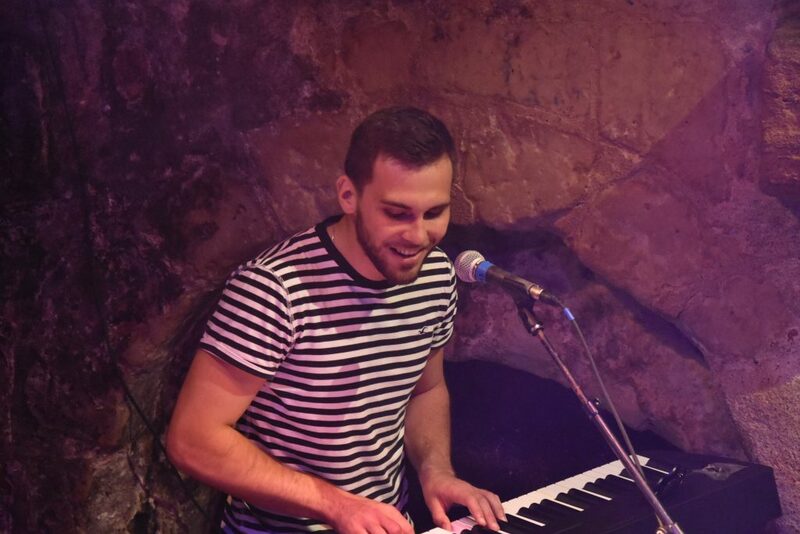 Singers were 4 OT students, and 1 friend of them, who is a Adapted Physical Activity student. They sang and played guitar and piano. 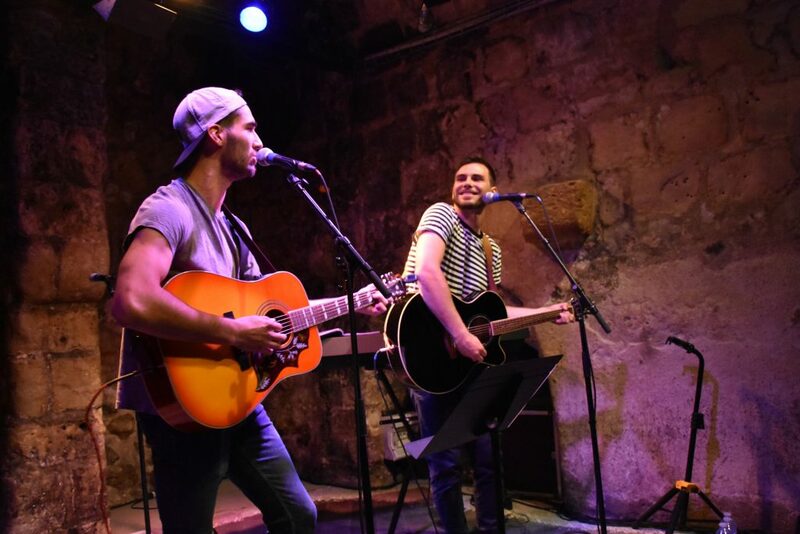 They had a 1h30 concert with French and international covers. This brand new experience was really appreciated by all the board members, singers, students and crowd. Moreover it allowed ATEEC to raise funds for them and for Nez Pour Sourire. And now, try for yourself ! If you have any question or reaction about this event, feel free to leave a comment bellow ! Maurane, 3rd year OT student. Théo, 2nd year OT student, and Matthieu, Adapted Physical Activity student. Published by Maurane, on behalf of authors First Year Occupational Therapy Students from Turku University of Applied Sciences, Finland. In this study module we worked on assessment of motor skills. To be able to evaluate clients’ motor skills we had to understand the anatomy and physiology of the upper limb of a human being. Therefore we deepened our knowledge of upper limb muscles, and both motor and sensory nerve systems. 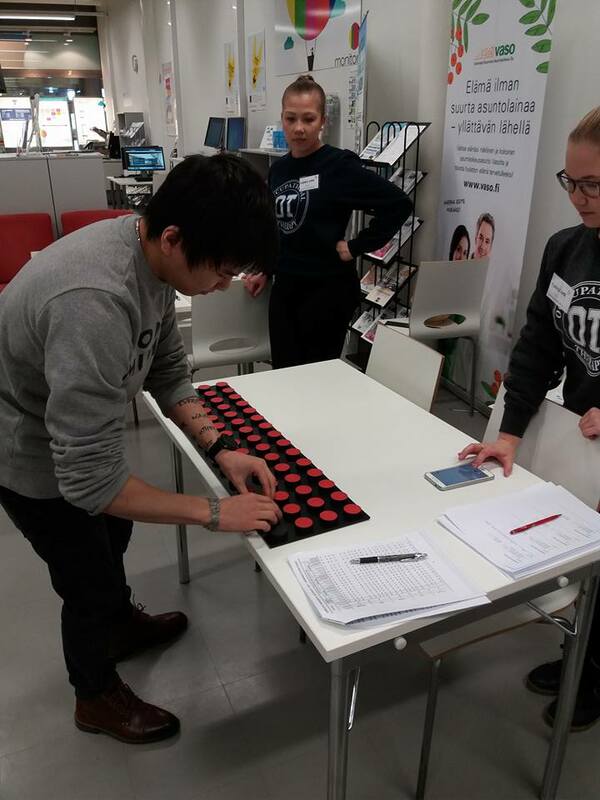 We used various measurement tools to assess clients´ occupational performance. 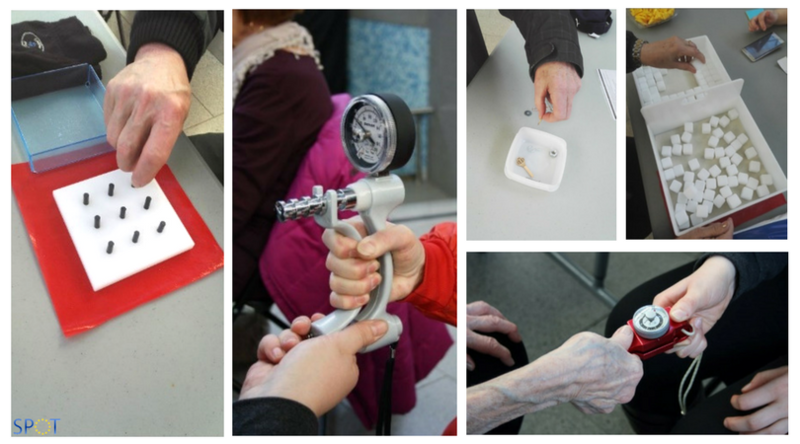 Based on the Model of Human Occupation Theory, we tested different skills that include motor, process and both communication and interaction skills. We got to see what assessment in occupational therapy means in practice. 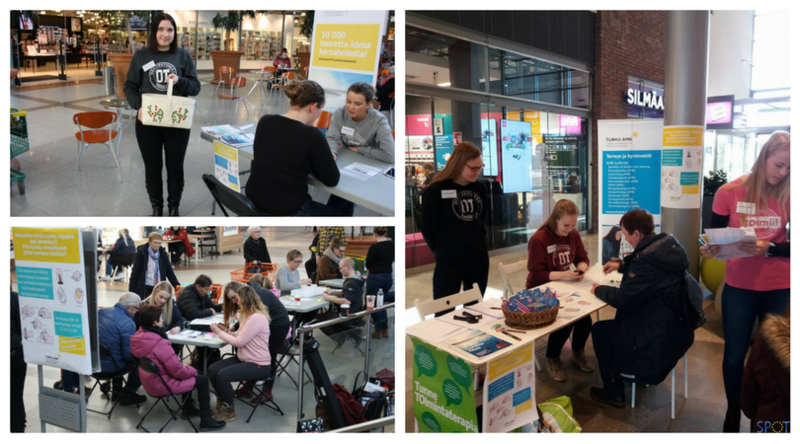 We organized a pop-up in the shopping centres of Turku and assessed upper limb motor skills of passers-by. On the same occasion we got to spread the word about occupational therapy. Occupational therapy students are testing each other with Purdue pegboard-test. Purdue pegboard test measures manual dexterity and eye-hand coordination. There is a specific board with two parallel rows with 25 holes where cylindrical metal pegs are placed by the patient. The first part of the test starts with the dominant hand. The client has 30 seconds to place metal pegs to holes as fast as possible. Then we count pegs, and the client repeats the test with the other hand. Second part of the test measures working with two hands together, client has 30 seconds to put metal pegs to two rows. For the third part of the test, client has to put together four metal parts : pegs, trays and collars in a specific order for one minute. The assessor counts all the assembled parts and the client gets one point for each part. Minnesota-rate measures the speed of gross arm and hand movements. It assesses the hand-eye coordination, and both unilateral and bilateral manual dexterity. The complete assessment includes five tests : placing, turning, displacing, one-hand turning and placing and two-hand turning and placing. Client can practice each test before the start of the assessment . Then they repeat each test at least twice and performed while standing. This assesses both accuracy and speed. Score of each test is time, in seconds, required to complete the chosen number of test trials. This test measures finger dexterity. It starts by asking the client to take pegs from a container, one by one, and place them into the holes on the board, as quickly as possible. Then client have to remove the pegs from the holes, one by one, and replace them back into the container. Client have to use only one hand at the time. Assessor starts the stopwatch from the moment the participant touches the first peg until the moment the last peg hits the container. Both hands are tested, dominant hand first. Jamar-test measures a grip strength of hand. Client and assessor sit face to face. Client have to to sit up with their back straight and keep their arm in 90 degrees. The arm is not allowed to touch the body. The press is meant to be quick and strong. The client repeats the test twice for each hand 30 seconds between the presses. Results are then compared to Finnish average in their age group. Moberg pick up test assesses functional sensibility. This test involves picking up, holding, manipulating and identifying everyday objects. The client gets 10 standard objects which are the same temperature example metal. The test starts by naming the 10 objects. After that the client picks up the objects and puts them in to the box, first with their dominant hand and then with the other hand. The same is done next blindfolded. After that the client has to identify the objects blindfolded and put them back in to the box. Assessor times the test with a stopwatch. The idea of the Box and blocks test is to measure the gross manual dexterity. In the test there is a two-parts box, there are 150 blocks on one side of the box and the other one is empty. Thus the client moves blocks with one hand to the other side of the box. Client start with their dominant hand and they have one-minute time to try to move blocks to the other side as fast as possible. The assessor then counts blocks, and client repeats the test with the other hand. They have 15 seconds to practice the test with each hand. Pinch-test measures pinch grip strength. The client uses three differents grips in this test; pincer grip, key pinch grip and three finger pinch grip. During the test the client sits on a chair and the assessor holds the pinch meter still so the client can do the test. The assessor tell her/him to sit up with their back straight and arm in 90 degrees. The arm is not allowed to touch the body. The client pinches the pinch meter as hard as possible. 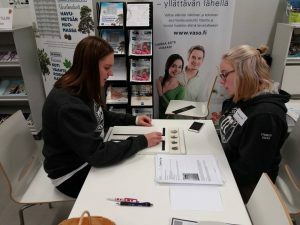 The assessor then compares results to Finnish average in client’s age group. Organizing a pop-up was a great opportunity for us to learn how to use these measurements. We recommend these kinds of events for all of you future occupational therapists! Hi everyone, Maurane’s speaking ! 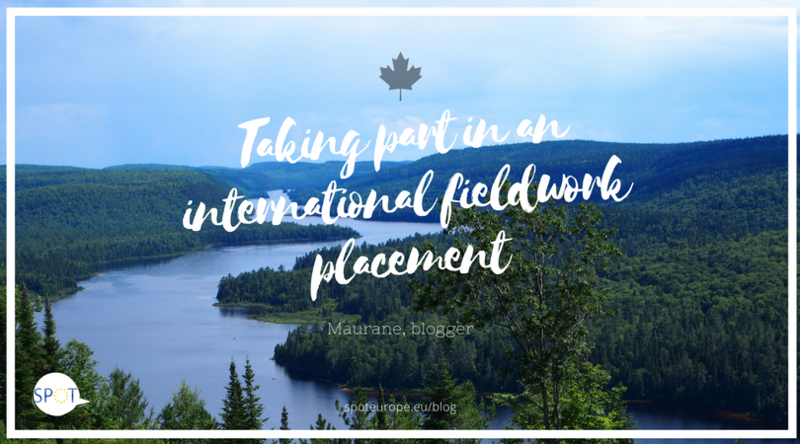 Today I’m going to tell you about this amazing experience I’ve had last year : my international occupational therapy fieldwork placement in Trois-Rivières, QC, Canada. I’ve been there from May, 5th to July, 18th, 2017, as a 2nd year OT student. For 8 weeks I’ve had an awesome placement, and then I spent 10 days road-tripping across Quebec. 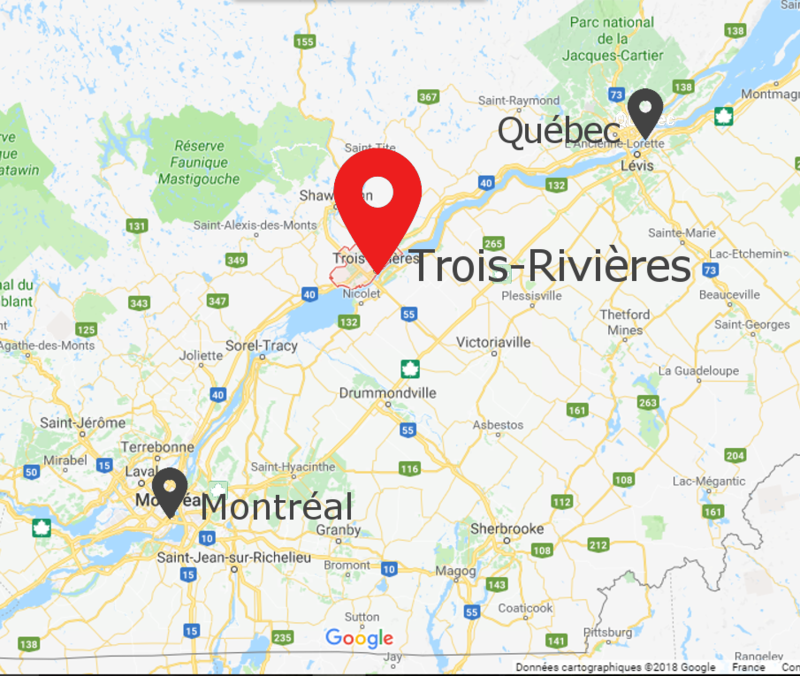 I was in Trois-Rivières, Canada, a French-speaking city. My placement took place in the local teaching hospital, especially in family medicine, pneumology, orthopaedic, urology, gastroenterology and vascular surgery departments, mainly with elderly people. Both of my supervisors were referent for several of the following departments, but they were attached to the rehabilitation department. I wanted to step out of my comfort zone experiencing something new, far from my country, my culture and my habits. I also wanted to get to know another way to provide occupational therapy services, especially in North America, OT birthplace. I learned so many things ! On an individual level and of course professionally, this placement really impressed me. I feel this was the first time I really felt as an OT. Stepping out of my comfort zone and experiencing totally new stuffs alone was much rewarding. Indeed I had no choice but to cope with any situations in everyday life by my own. I’ve had issues with lodging in the first week I was there. I’ve had to move from my place, thus I had to look for another place to live. I managed this by my own, without my parents assisting me, and it went well ! Then I was pretty proud and I feel more confident now as I know that I’m able to manage this kind of situations by my own. Moreover I met awesome people there. I took the time to get to know them and their culture, I discovered a way of life I didn’t know before, which got me think about my own philosophy and lifestyle. Even if they speak French and live in a western culture, I felt differences in people’s behaviors and values. In general terms I felt they were much optimistic about life ! I also met people coming from all over the world travelling during week ends. I became less afraid to start a conversation with people I don’t know, which is also an advantage in professional practice ! I’ve had to adapt to a brand new health care system, professional environment, and culture in a short period of time. First, I gained confidence in my adaptative skills as I’ve had no troubles accommodating to this unfamiliar environment. Secondly I learnt working with great rigor. My supervisors were more demanding than I’ve had ever experience in France, especially about professional writings. I learnt to use accurate terms when forwarding information to other professionals, in both oral and written form. During this placement I also felt that OT practice was more evidence based than it is in France, as research is also way more fertile. Thus I understood the importance of developing research in OT in France as it’s essential to expand and enhance our practice. 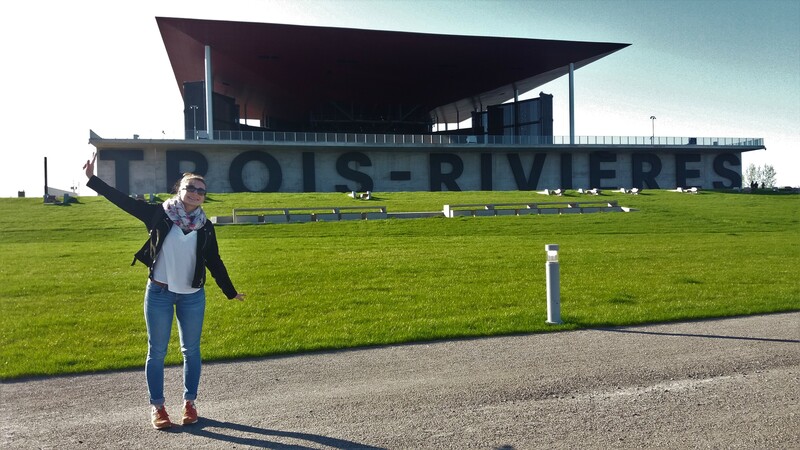 Standing in front of the Cogeco Auditorium in Trois-Rivières. I would never recommend you enough to travel and experience unfamiliar fieldwork placement settings ! Feel free to react and ask me any question you may have. 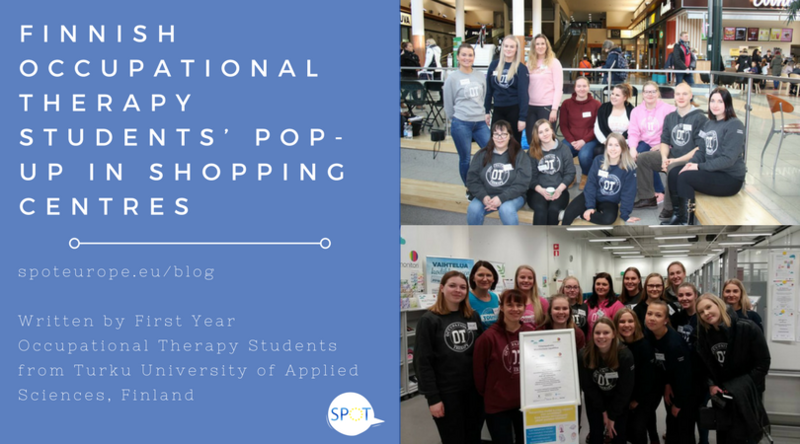 Picture yourself in our situation: you’re studying, on the weekends you’re hanging out with your friends and you see your bright future for yourself as an occupational therapist. Suddenly, everything is changing – there is war. Your life is not like it used to be. In the blink of an eye, all your dreams are shattered. You’re surrounded by death and violence, and you have to leave your country. You’re not able to communicate in your mother tongue, you’ve lost parts of your occupational identity, you’re not allowed to work and, instead, you’re waiting for a positive response to your asylum request. Life as a refugee can be difficult to imagine, but for almost 22,5 million people around the world, it is a terrifying reality (UNHCR, 2017). Refugees belong to a group in danger of occupational deprivation (Whiteford, 2000). Thus we, as occupational therapists, play a vital role in enabling them to participate successfully. Hence, the occupational therapy department from our university, the Health University of Applied Sciences Tyrol, undertook two projects alongside the Bachelor and Master students focusing on aiding in this transition. In 2016, the project’s aim was about “building a space and a place for encounter” by furnishing and decorating an “encounter room” together with the refugees living in a refugees’ home in Innsbruck, Austria. Once we got to know each other, we worked in three different groups: sewing, woodworking and gardening. At the project’s conclusion, we celebrated our shared results with lots of traditional food and music. After the project, we reflected upon our experiences and presented them to our professors and fellow students. Furthermore, there was a scientific evaluation of the project, wherein the students, as well as the refugees and the project leaders, were invited to semi-structured (and focus group) interviews. In 2017, the first focus was on creating a positive experience of encounter between students and the refugees. Our aim was then to identify the resources and competencies of each participating refugee to enable him or her to engaging in meaningful occupations and, in doing so, to contribute to the so- called “Tyrolean compass of competencies” – a project in the Austrian province Tyrol. Within the context of the project, we gathered information regarding the refugees’ interests, resources, and competencies, as well as their occupational roles and accomplishments and summarized them in a document. To finish off the project we also made a presentation in front of the students, the professors, the stakeholders and the participants. This opportunity was also used to hand over these documents to the participants in a formal context. We, the students, really appreciated the projects. By gaining our first OT working experiences in our first year of studies we strengthened our identities as future OTs. Furthermore, we were able to build a connection between practice and theory (occupational science, OT-models, community-based practice, professional reasoning), and we now have important experience with cultural sensitivity and exchange. We improved our teamwork and organization skills, learned to be flexible, to work with the available resources and to communicate without speaking the same language. Apart from the professional context, we had the opportunity to meet inspiring individuals and even make new friends. Some of us are still in contact with the participants, meeting regularly and arranging dinners together. Not only were we, as students, able to benefit from the project, but also everyone else involved. We received positive feedback from the people whom we worked with, including social workers and volunteers from the refugee home. We enabled the participants to use their identified resources to find new perspectives and to open up new possibilities. They had the opportunity to take part in meaningful activities and subsequently get out of occupational deprivation, all whilst having the chance to improve their German-language skills and gaining insights into our culture, values, and especially the value of women in our society. 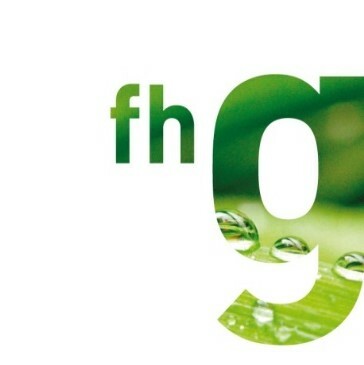 A very gratifying aspect is the sustainability of the project. 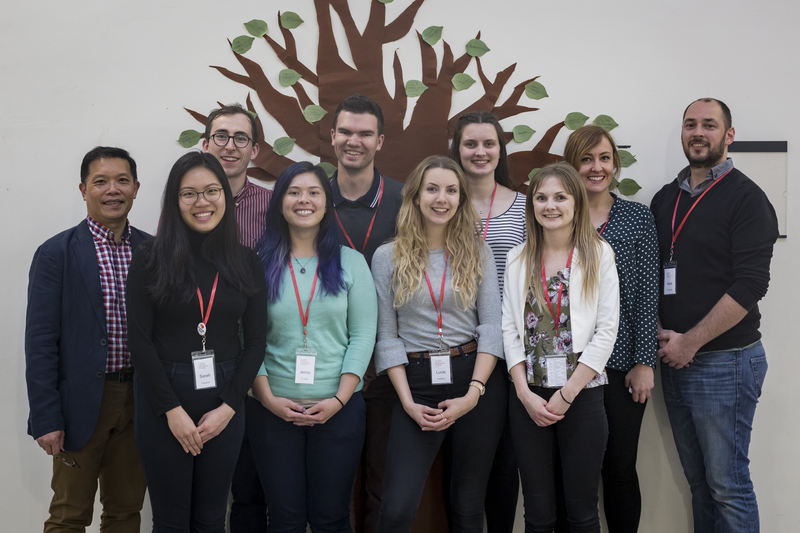 Beside our newly-gained learning experiences, the project enabled many students to participate in their first fieldwork placements working with refugees. Additionally, there was a publication and dissemination of knowledge (Wetzelsberger, Pasqualoni &amp; Costa, 2017), whilst serving as a good example of practice for the OT community. In conclusion, we’d like to point out that projects like this not only support students to develop their professional skills, but also help refugees to overcome occupational deprivation. 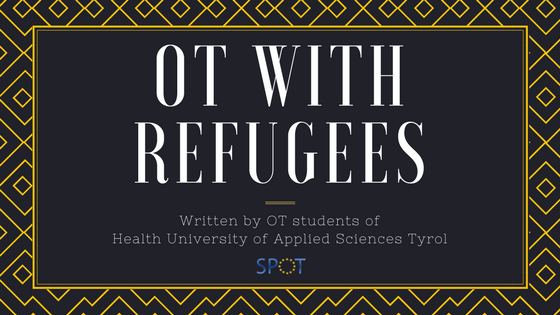 It is our view that there are still a lot more ideas and opportunities for occupational therapists to enable refugees. Although there are a lot of other essential professions in this field, we believe that it is very important to work as an OT in this area because we can add a unique skillset. We hope we could give you an insight into this field of practice and would like to end with a quote from Helen Claire Smith (2005) in the BJOT, where she wrote that “there is no excuse for allowing our anxieties to halt us from offering the same services that we would do for any other client group“. So: “feel the fear and do it anyway” (Jeffers, 1997 qtd. in Smith, 2005). Whiteford, G.E. (2000). Occupational Deprivation: Global Challenge in the New Millennium. British Journal of Occupational Therapy, 63(5), 200 – 204. Smith, H. C. (2005). ‘Feal the fear and Do it Anyway’: Meeting the Occupational Needs of Refugees and People seeking Asylum. British Journal of Occupational Therapy, 68(10), 474–476. Wetzelsberger, B., Pasqualoni, P.P., &amp; Costa, U. (2017). Creating a place and space for encounter: Collaborative action taking within a cooperation of people seeking asylum and project report for the Tyrolean OT association. Innsbruck: fhg – Health University of Applied Sciences Tyrol. It is a free, online, 24 hour conference for occupational therapists. 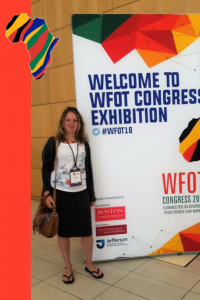 Whilst acknowledging the value of global connections for occupational therapists, we noticed that many OTs miss out on traditional avenues of connecting at conferences due to cost and time required. For some OTs a conference could cost as much as a whole year’s salary, but the need for equitable access to knowledge transfer opportunities is vital in a profession that continues to grow. In a world where technology is becoming more and more ubiquitous many occupational therapists are gaining techno-confidence. Thus the idea of designing and delivering a 24 hour free real time online conference for knowledge sharing was born. We chose World OT Day in 2010 as our first OT24Vx and following its success we have run one annually since then. The OT24Vx has run in collaboration with the World Federation of Occupational Therapists since 2014. You can read all about it at their website and learn what you can do to prepare yourself for the upcoming conference in November! You can also follow the team on twitter! On Twitter right now is the #31dayOTchallenge. It is originally a challenge set up by the Canadian occupational therapy association, but you can join in no problem! 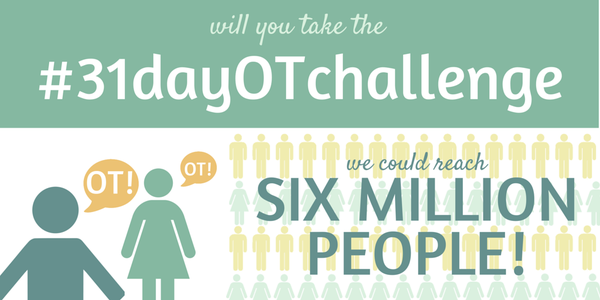 The goal here is to talk to someone about OT for every day of the month october! Spread the word!